I shall present a brief theoretical consideration, followed by a relevant historical example. To tolerate an evil is to consent to its existence. Just as good produces good, evil yields evil. When we are obliged to tolerate something evil, we must limit the evil effects of this tolerance to the greatest degree possible and diligently prepare the conditions for eradicating the evil, rendering further toleration unnecessary. This principle is elementary in medicine. If, for clinical reasons, a patient suffering from a malignant tumor cannot be operated upon immediately, the physician’s treatment consists in retarding the tumor’s ill effects in every way possible. Not satisfied with this, he will diligently prepare the patient for the eventual surgery. Even the most tolerant man would not tolerate his doctor acting in any other way. I do not understand why this clear, logical, and wise process should not also be lauded when, instead of the danger of a malignant tumor, we face the threat of a moral cancer such as heresy. Indeed, wherever error is introduced, we must remedy the situation with the suave and deliberate clinical means of apologetics and charity. Should these means fail, or when the evil spreads so rapidly that it cannot be treated over time, or is so resistant that no argument or act of charity will root it out, we must resort to surgery. If this surgery cannot be performed at once, we must resolutely combat the further infiltration of the disease, while preparing for an auspicious day to operate. By way of example, let us consider a religious association into which an evil influence has entered, permeating it with a spirit of worldliness, sensuality, and doctrinal relativism. If the association is well disposed to resist the evil, it is preferable not to expel the fallen member immediately in order to afford him the opportunity to reform. Nonetheless, throughout the treatment, the superior will have to be particularly attentive regarding the infectious member, his associations, his sphere of influence, and so on. He must — at the slightest symptom — take every necessary measure to halt the contagion. Above all, the fraternity’s director should practice a constant preventive medicine with the healthy members in order to inoculate them against the deadly dangers of infection. In this way, he will have practiced virtuous tolerance, for he will have offered good to the bad without risking grave harm to the good. Virtuous tolerance requires much work, demands strict precautions, and takes considerable time. Let us suppose that the fallen member is a person of rare charm who immediately begins to influence his confreres. Since it is far easier to influence men towards evil than good, the superior sees that despite his best efforts to the contrary, numerous members will soon be entirely deformed. He now faces the following choice: to permit the evil influence to remain within the bosom of the association, risking the loss of once healthy members; or to expel the carrier of contagion, who will likely be lost in any case, thus saving the good and restoring the fraternity to its former order, good spirit, and peace. What is the director’s duty? It can be but one. The well-being of the innocent is worth more than that of the guilty. It is necessary to expel the wolf in sheep’s clothing as soon as possible. Failing to take the necessary action to protect the innocent, the superior will have betrayed his duty and will have to render account to God for the lost souls he could and should have saved. Finally, let us suppose another situation. The evil individual infiltrates the association and quickly begins to ensnare his victims. In a short time, his success is such that if he were expelled, even the best members would fail to understand. His expulsion would precipitate a crisis that would dissolve the fraternity, and its members, deprived of any protection, would risk being lost themselves. What should the director do? Evidently, effect a strategic compromise, but only with understanding, intelligence, and wisdom. The superior will have to employ every direct and indirect means to improve the disposition of the black sheep and, at the same time, to restrict his influence over the rest of the flock. At the same time, he will have to prepare the faithful members so that they may understand the urgent need for the infiltrator’s expulsion. As soon as they are prepared, it is necessary to carry out the indispensable amputation. Even then, virtuous tolerance will have been virtuously practiced, for the society will have been saved, whereas rash action would have destroyed it. 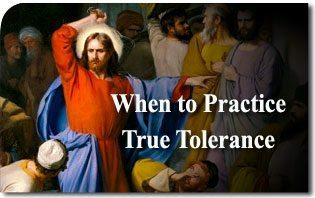 In contrast to these examples of virtuous tolerance, we should mention some examples of defective tolerance. Lacking firm principles and convictions, the superior of the association is superficial, vain, impressionable, and timid. When the evil individual enters the fraternity, the unprincipled director perceives, to a degree, the seductiveness of the attitudes and principles that the infiltrator deftly introduces. As he is superficial, however, he is incapable of understanding all that is implicit in the evil member’s words and actions. In his vanity, he deems himself the idol of his peers and subordinates and thus cannot conceive the possibility of anyone undermining his influence. Impressionable, he is perfectly content as long as the association’s members show him kindness and render him homage. 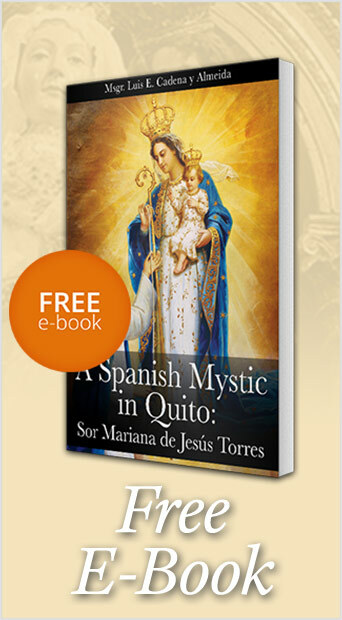 He shuns principles, doctrine, and polemics as impediments to the sweet tranquility of his untroubled life. Timid, he is afraid of every reaction. Were he to take measures, he would be called intolerant within and without his social circle. Now that would be quite uncomfortable, for the intolerant are never tolerated anywhere. We live in the age of tolerance. Every opinion is permitted — except intolerance. Anyone who would maintain that certain opinions are unacceptable would make himself the object of persecution, antipathy, and sarcasm. How could anyone expose himself to such ridicule? Under the weight of so many pressures, the soft superior finds it easier to be tolerant, closing his eyes to the problem and permitting the evil to spread freely or, at least, imperceptibly. When the association is completely undermined and a cataclysmic crisis explodes, he submits with fatalism: “Such is life.” He may even embrace the evil to save his own position from being overthrown. This is how one makes a revolution from above, before those below do so. Such tolerance could not be more wicked. This entry was posted in Plinio Corrêa de Oliveira and tagged charity, doctrine, evil, existence, good, guilty, innocent, practice, relativism, tolerance, tolerate, virtue, When to Practice True Tolerance by Plinio Corrêa de Oliveira. Bookmark the permalink.